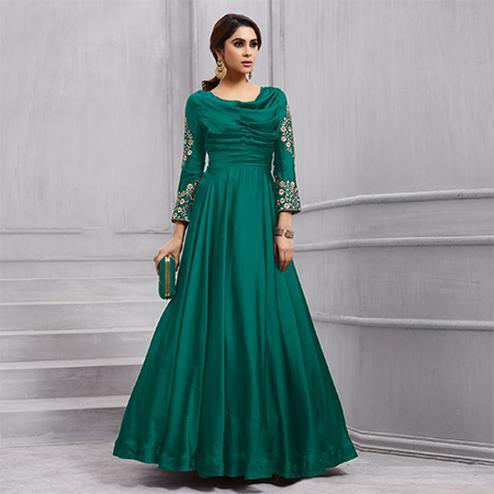 Look simply beautiful on your family functions wearing this green floor length anarkali suit enriched with floral embroidery work done at yoke sleeves cuff and lower part of the kameez. The plain red color broad lace border at hemline adds extra richness to the overall look. Paired with red santoon bottom and chiffon dupatta with golden lace border. Suitable for parties functions and occasions. Length Chest upto 42 inches and length upto 56 inches.